Air conditioning problems are inevitable, but that doesn't mean that you have to be blindsided by a sudden lack of air conditioning. Instead, you can simply know and look out for some of the common signs of air conditioning issues so that you can get a jump on the repair work before an air conditioning breakdown gets a jump on you. First and foremost, your air conditioning unit should cool your home down. So, it's an easy guess that if your home is not being properly cooled, your air conditioning unit isn't working its best. If you find yourself having to crank and crank the A/C for fewer and fewer results, it's about time to get an air conditioning repair. Even perfectly cooled air won't do very much to keep your home as comfortable as you want it to be if your airflow is weak. But weak airflow is another common sign you might experience if your air conditioning begins to have problems. If you can put your hand to your air vents and barely feel any airflow, it's time to get an A/C repair. 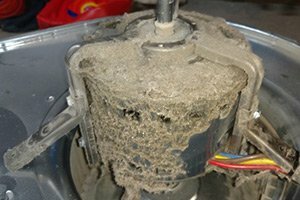 A worn-down air conditioning unit isn't always something you'll feel. Sometimes, it's something you'll hear. And what you'll hear is loud grinding sounds coming from your central A/C unit. These sounds signal that there is something wrong with the mechanics that run your air conditioning. If you hear such noises coming from your A/C, get a repair ASAP. Do you need service for air conditioner in Evergreen and Conifer, CO? Call 720-470-1133 or complete our online request form.